The Italian NGO ASGI filed a suit against the Ministry of Foreign Affairs and International Cooperation before the Administrative Tribunal of Lazio (TAR) accusing the Ministry of misappropriation of funds and misuse of power in regards to Italy’s technical support of border management by Libyan authorities. In a statement last week, the ECRE Member organization Associazione per gli Studi Giurdici sull’ Immigrazione (ASGI) criticized the Ministry of Foreign Affairs and International Cooperation for overstepping its power in allocating a total 2.5 million Euro to the Ministry of Interior to repair four vessels of the Libyan coastguard. The money was allocated from the so called ‘African Fund’, a development fund which is set up to promote cooperation and dialogue with African countries under the frame of development and humanitarian interests. The 2.5 million Euro are invested in equipment and measurements aiming at border management and there is a high probability that the vessels might be used to pull-back and detain migrants and refugees fleeing Libya. On those grounds ASGI argues that this represents a diversion of funding, saying that the use of funds is profoundly different from its development target. “The Italian government is reinforcing the Libyan coastguard in order to delegate illegal activities, and in particular push backs to the country. On this agenda Italy is supported by the European Commission that pursuit the same aims. Considering the horrors people in Libya face, the policy is to be denounced. This case might help to build public pressure in protest of the extensive externalization efforts and hopefully will put a cap on the unlawful diversion of funds. In the end EU and Italy need to be called to account for their complicity,” said Salvatore Fachile and Giulia Crescini, ASGI Rome to ECRE Weekly Bulletin. 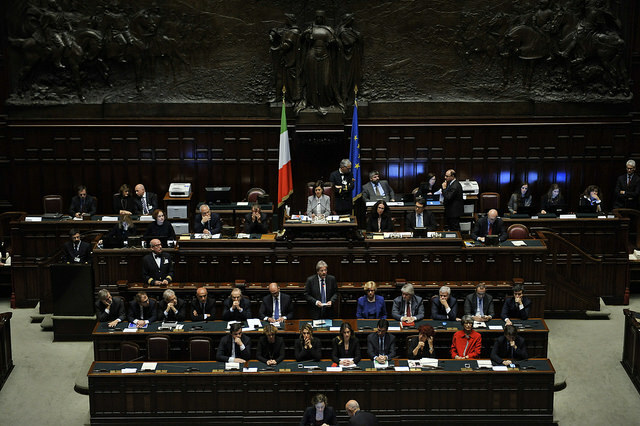 The accusation of questionable allocation of funds is not limited to Italy. In a report from last week, Oxfam finds that the EU Emergency Trust Fund for Africa lacks checks and balances and focuses on European ‘migration management’ rather than African long-term interests and development goals. The human rights violations in Libya are escalating. Last week, UN High Commissioner for Refugees Zeid Ra’ad Al Hussein strongly criticized EU’s and Member States cooperation with Libya in view of inhuman conditions in detention facilities. Further UN Secretary- General, the Secretary General of the African Union and leading UN Agencies strongly condemn recently documented slave markets in Libya where migrants are auctioned. On Wednesday, France called for an emergency meeting of the UN Security Council over the topic.